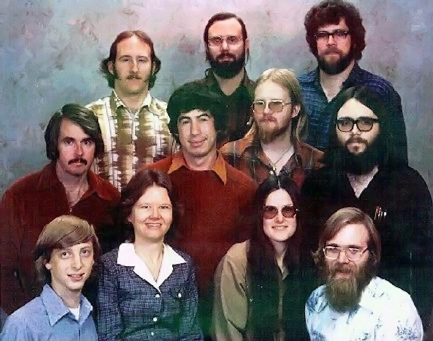 The people that brought you PowerPoint. Some of you might remember that I posted about a strange PowerPoint 2003 bug and its work-around back in 2005. In short, hyperlinking to an MS-MPEG4 encoded AVI would result in a completely unnecessary warning dialogue. Renaming the AVI to MPG made this problem go away. Guess how I worked around the movie clip black box problem in PowerPoint 2007? Yes, children, changing the file extension from AVI to MPG and re-embedding the movie-clip resulted in a perfectly-playing embedded AVI. You can thank the clever guys and girls at Microsoft for keeping life interesting with these pleasant little surprises. Problem #2 took slightly longer to solve, but Uncle Google soon had me on the right track. The last slide in my presentation, the one that took 4 to 6 seconds to appear, was quite image-heavy. It turns out that PowerPoint saves embedded images in a relatively inefficient non-compressed form. This does, contrary to what we expect from MS, make sense, as one would like to retain all image information. However, when one is doing a slide-show, the processing that has to take place scaling and displaying all images takes an inordinate amount of time. Having an upwards of 4 second delay before the next slide appears is simply not acceptable. The solution is saving a copy of your presentation, but with image compression activated. Do “Save As” and on the bottom-left of the dialogue that appears, select the “Tools” menu button, then “Compress Pictures”, then “Options” and finally “Screen (150ppi)”. Now “Ok” twice, then finally select a new filename and click on “Save”. In my case, the presentation file was reduced from 10MB to 2MB, and the load time for that crucial last slide from 4 seconds (minimum) to slightly less than 1. That concludes the second installment in my exciting life as a PowerPoint flunky!